There is a battle raging inside of each of us. Two groups fighting for the supremacy of the body. This war has been raging in each of us for years. Who are the combatants you ask? Well, allow me to shed some light on them and maybe show you how you can help the war effort. Hey, We Aren’t So Bad…..Right? Our enemies in this fight are sneaky and their goal is to cut off the supply lines for your body. They send out scouts to look for places to establish forts or gathering places. When they find a good spot they start grabbing everyone they know to join them. They have strength in numbers. Their organization is known as the low density lipoproteins or the LDL for short. The biggest reason these guys are so bad is that they know how to corrupt even the most upstanding members of the WBC or the white blood cells. They let the WBCs come to them then they attack and poison them. Diabolical!!! So how can the LDL be stopped? Well let’s take a look at the other side of this war shall we. The best fighters around to take on this LDL menace are the members of the high density lipoproteins or the HDL. When they have enough numbers, they can easily take out LDL strongholds and send them back to the liver for reprocessing. 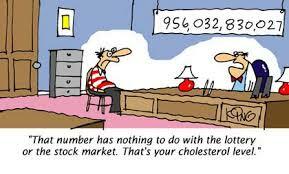 But recruitment isn’t always good and so they can get overwhelmed and the LDL takes back ground. The answer is help with recruitment and buff up the HDL members you do have. To do this you have to give them good supplies and help them move faster so the LDL won’t know what hit them. You do this by first avoiding foods with a lot of saturated fats like fatty meat or any thing on the McDonald’s menu. Go with lean meats like skinless chicken, fish or eating veggies. Any thing low in saturated fats will help you fight the LDL. The other big way you can fight is by adding exercise into your daily routine. I think the best exercise to try is swimming. Swimming gives you a great workout without trashing your body or joints. Swimming for just 60 minutes a day will give your HDL soldiers an added boost. And it’ll help them break down the walls that the LDL’s have been building to allow the supply lines to the body to move freely. For starters, try the Crawl stroke. It can burn off a lot of calories which cuts supplies to the LDL greatly. By doing just an hour a day of swimming, you will increase your lung capacity and gain greater strength. This will increase the HDLs numbers and help take down the evil king cholesterol once and for all. It can be hard to stay motivated to keep fighting. 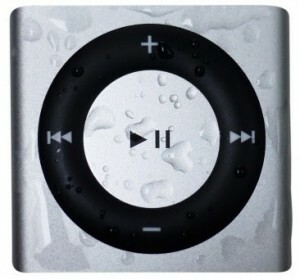 So, to keep you on track, I would recommend a Waterproof iPod Shuffle from Underwater Audio. This little player packs a punch and allows you to take your music wherever you go- whether that’s the pool or the ocean. The sound track of your life can now be wherever you are. Swim well and fight on!!! HDL forever!! !